In total, the police seized around 58 tons of alcohol worth over 22 million rubles. 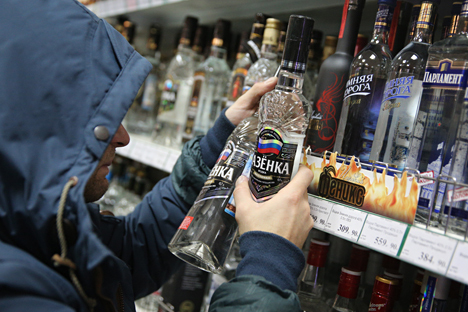 Police in the city of Chita (3,000 miles East of Moscow) have seized 58 tons of vodka with forged excise stamps worth over 22 million rubles ($343,000), the press service of the Interior Ministry department in the Zabaikalsky Krai said on Sept. 26. "The police have seized a large batch of alcohol at one of warehouses in Chita’s Ingodinsky districts. Forged excise stamps were put on bottles with vodka of different types. In total, the police seized around 58 tons of alcohol worth over 22 million rubles," the press service said. The owner of illegal alcohol admitted that she knew the excise stamps were forged but still planned to sell it. A criminal case has been opened over the incident.